Sorry, I see a guy in a modern-day setting wearing a white face mask and jump to conclusions. 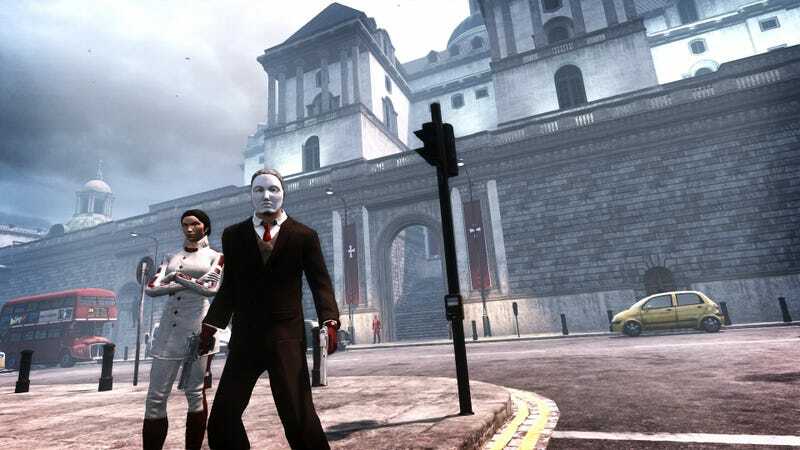 Still, the conspiracy-laden Earth of The Secret World seems like a great place for Anonymous to hang out, doesn't it? I'd say developer Funcom should talk with the Anons, strike up some sort of deal to use their likeness in the game, but I suppose the only ones whose likenesses we know aren't going concerns at this point. Still, it's the sort of theme and setting that would transform the loose-knit organization into a true world power, manipulating everything from behind the scenes, exacting swift justice using a combinations of today's technology and supernatural forces. Ooo, I've got shivers. It's so very Shadowrun. I'm gonna go read Striper Assassin again.